Many homeowners in the Shark River Hills section of Neptune are still facing an uphill battle six months later following the devastation caused by Hurricane Sandy. And dealing with insurance and mortgage companies, and with the Federal Emergency Management Agency (FEMA), represent some of the greatest challenges. According to Neptune officials, about 400 homes in the Shark River Hills area were damaged during Sandy and only about one-third of those residents have been able to occupy their homes since then. “The other two-thirds are at some level of recovery, whether it is starting to rebuild or determining what they can or can’t do,” said Chief Financial Officer Michael Bascom. He said about a dozen homes have since been elevated or are in the process and another handful of homes are either demolished or in the process. To help make the process a little easier, the township is adopting an ordinance that will allow residents to replace decks in front of their homes and raise them up to be level with the front door if the house is raised. “We want them to be able to restore their home to as close as before as possible,” Bascom said. The township is also closely watching what the FEMA Advisory Base Flood Elevations will finally be. Right now the elevation is 10 feet for a 100-year storm and 12 feet for a 500-year storm. “Right now we are adopting the 12-foot level,” Bascom said. He said that if a house was more than 51 percent destroyed, it must be rebuild to the 12-foot elevation. If less was destroyed, then it is optional to the property owner to do what they want. “The main impact on this decision is future flood insurance. Obviously, the lower you rebuild your house the more impact it will have on future flood insurance premiums. People are less concerned with the regulations and more concerned about insurance premiums,” he said. Bascom said that the emergency work in Shark River Hills is now complete and that restoration and recovery efforts are beginning. “Priority projects, like life, safety, and health, get done first. We are moving other matters forward, like clearing out downed trees and removing debris from the Shark River, but we need to get FEMA approval to do these projects so we can get reimbursed for the cost. We are working hard on this and trying to move it forward,” he said. But homeowners in Shark River Hills are still having other problems, said Warren Lapp, treasurer of the Shark River Hills Property Owners Association. “Only a handful of residents feel they were dealt with fairly by their insurance company.” Lapp said some residents assumed certain levels of insurance were already in place, such as for contents, only to find out that they were not. “And that is where FEMA steps in but many times it is only 10 cents on the dollar. Even on insurance of the structure, people feel they are getting yanked around, each insurance company is different,” he said. “They are waiting for the final FEMA flood-plain maps or waiting to see what state funding may be available. So, most people are not doing anything for the time being. People living closest to the river will most likely do it but people uphill are waiting,” he said. Lapp estimates that only about 10 percent of residents are raising their homes up now and that most homes in the area will have to be raised as much as 12 feet to avoid paying future flood insurance premiums. “It depends where you live but those closest to the Shark River will probably have to raise their homes up quite a bit,” he said. And Lapp said some insurance companies are doing a good job, and others are not. “Many times it comes down to individual adjusters, who can have wildly different payouts on similar properties,” he said. And it is at times like these that people are turning more and more to charitable organizations, like the Robin Hood Foundation, for help. 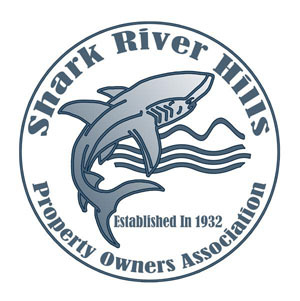 The Shark River Hills Property Owners Association recently received $100,000 from the Robin Hood Foundation to help residents cope with insurance and other issues. “We try to help them a little bit. Many are just short with insurance money and need to pay out of pocket for now,” he said. State Assemblywoman Caroline Casagrande said one of her legislative aides lives in Shark River Hills so she has been giving that area some special attention. “We encourage anybody who has a problem to call our office and we will see what we can do,” she said. Casagrande’s legislative office telephone number is 732-866-1695. “We try to make some phone calls on their behalf and, if people feel they are not being fairly treated, we try to be an advocate for them. There is so much paperwork and a lot of confusion. Some insurance and mortgage companies also can stonewall releasing money,” she said. “We try to answer people’s questions, such as what FEMA monies are being released and when. We are just trying to be there in anyway we can,” she said. Posted in Shore Communities and tagged Don Stine, Shark River Hills, Shore Communities.